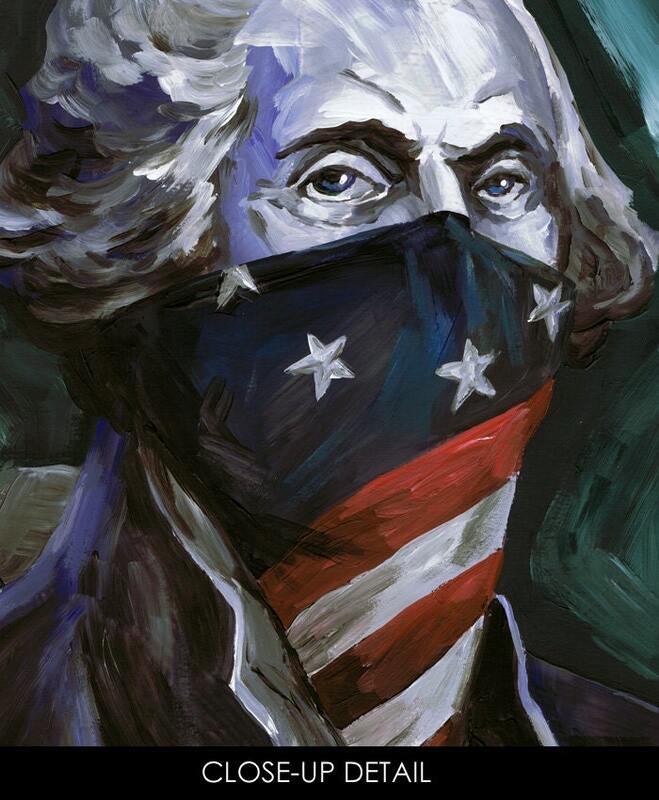 "George Washington: Revolutionary Outlaw" art print by Rob Ozborne. From the "Totally Outlawed Americans" collection. 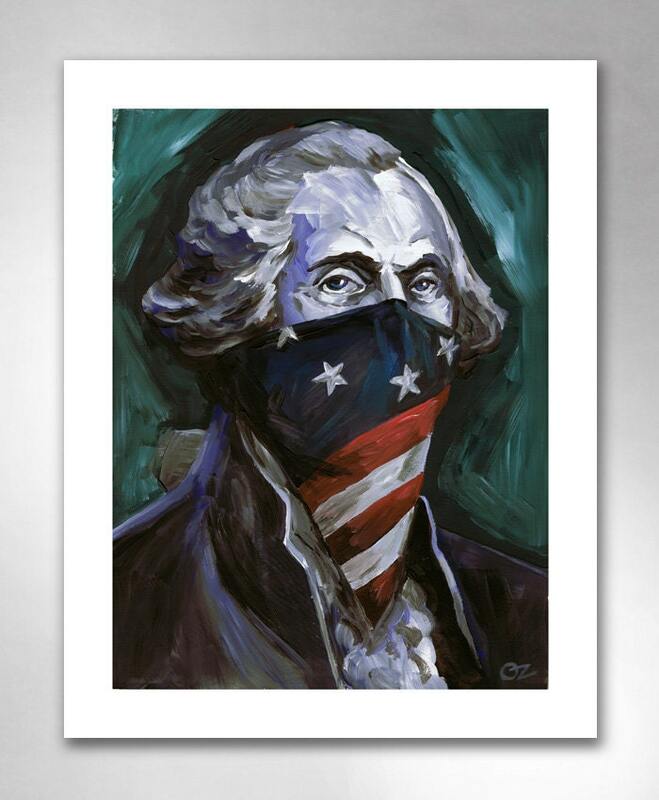 THE STORY: From the original portrait painting, this is the art print of George Washington. Leader of the American Revolutionaries. First American President. Outlaw for Liberty.